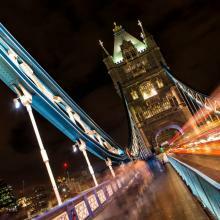 The Tower Bridge or Tower Bridge is the monument of London in which you can not miss a photograph. In fact, traveling to London and not having a photograph with Big Ben behind or with Tower Bridge in the background is not a trip to real London. Leaving the jokes aside, the Tower Bridge is a drawbridge that links two different parts of the city of London leaving the River Thames just below. When you visit the Tower of London and want to go across the river to visit the City Hall or the Shard , it is essential that you cross this bridge, if you want to go to this area by foot. But the Tower Bridge is not a simple bridge and to awaken the bug in you and decide to visit it we will talk about its history and the exhibition that is accessed from inside. It is part of that elitist group of the most famous towers in the world such as the Eiffel Tower in Paris. Today I add this interactive video, if you move your smartphone or move the cursor on the screen you will see the video in the first person as if you were there. Amazing, right? The river that crosses the city of London is the River Thames and the fact that the city expanded so much that it was possible to leave one side of the city to the right of the river and the other side to the left was the need to build a series of bridges so that the river could be crossed walking. Thus, the Bridge of the Tower arose in the year 1894 . The historians of the Museum of History of London narrate that originally there was already an ancestral bridge built in this zone of the river for its good protection against the rises of the level of the sea, what they gave in calling Llyndin (in previous language to the Latin original word of the term London). The construction of the drawbridge was extended for 8 years and had to be a draw to avoid influencing river traffic that had and takes place on the River Thames. That's why, when you visit it, you may be lucky to see how its platforms are raised, but do not worry because before the start of the survey a beep sounds that warns pedestrians to stay behind the line. 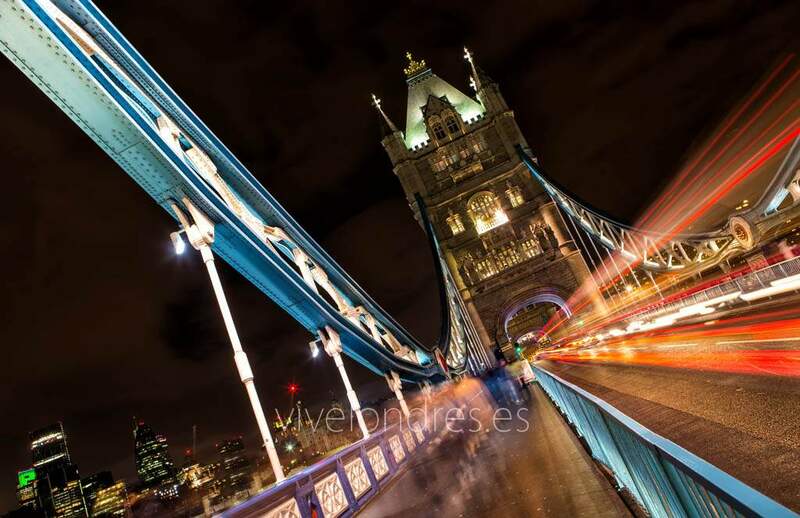 As we said before, if you have decided to visit the Tower Bridge do not hesitate to take camera in hand because the panoramas that can be taken with the bridge and the river in the background are spectacular, both by day and by night. It is important that you differentiate between the Tower Bridge and the London Bridge because they are two different bridges that tourists tend to confuse. The second is a much simpler bridge that can be seen from the Tower Bridge itself but which has a certain charm because it is the first bridge in London that was built to cross the river on foot. Regarding the exhibition that houses the Tower Bridge, it is not something worthwhile for everyone since it is not free and inside you will not find much. You will simply find images and some history about the construction of the bridge, something not too interesting for most tourists. I propose to join the visit of the Tower Bridge to the Tower of London in this pack Tower of London + Tower Bridge to save time and money. The bridge is located right next to the Tower of London and the nearest subway stop is Tower Hil l. Obviously, traveling on the bridge is free. If you are interested in visiting the exhibition you can do it from 10 in the morning to 6 in the afternoon throughout the year. The price is 8 pounds for adults ; 3.40 pounds for children from 5 to 15 years old; 5.60 pounds for over 60s and students and free admission for children under 5 and owners of the London Pass.